Cannon Township is one of Michigan’s most scenic and enjoyable places to live and visit. 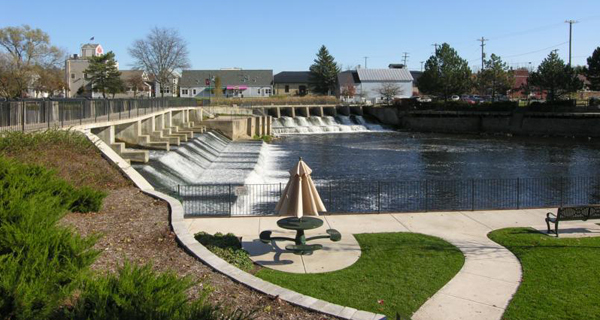 Rockford is located just twenty minutes northeast of Grand Rapids, Michigan’s second largest city, yet offer a premier rural setting blessed with parks, trails, woodlands, hills, streams and lakes; characteristics protected through zoning and land use . There are a variety of business, including restaurants, downhill and cross country skiing and summer watersports, and are proud to host the Grand Rapids Symphony Picnic Pops summer concert series. It’s a special place where generations have come to make a good home, build a thriving business… or just spend a day elaxing by the Rogue River. You will find beautiful views, a scenic dam, great shopping, good restaurants., lovely parks and friendly people. A safe, walkable community with much to see and do.